Home / Celebrity / Minnie Dlamini / Quinton Jones / Watch! Minnie And Quinton Jones’ Vows Will Make You Cry! Watch! Minnie And Quinton Jones’ Vows Will Make You Cry! 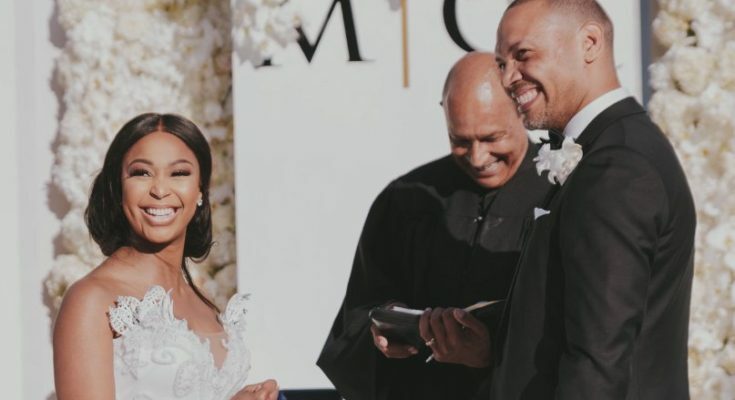 Minnie Dlamini’s wedding to Quinton Jones was one for the books and the finale of the wedding docu-series had everyone talking. The most talked about part of the wedding is the couple own vows. You might want to get a tissue for this if you haven’t watched it. Minnie gushed over how she has never loved anyone else the way she loves her husband whilst Quinton had everyone chocking with his heartwarming vows.